moving to Napa. Ron’s wine had been recommended to us by a fellow winemaker we met at a winemaker dinner at the Farmstead Restaurant in St. Helena. Based on that recommendation, we tracked down Ron and Lisa last summer and thoroughly enjoyed their Cabernet and Chardonnay, which I wrote about here. 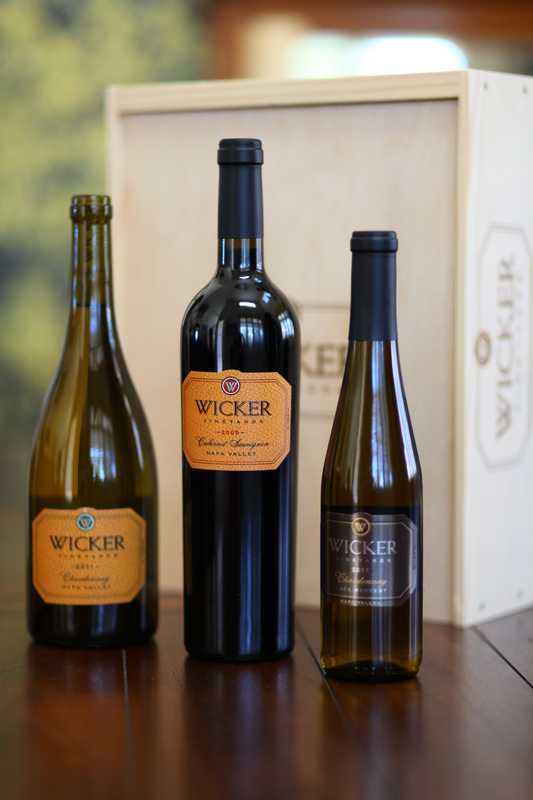 We subsequently became good friends with the Wickers and have enjoyed several great meals (and wines) with them since that time. We have also enjoyed many great meals at the Farmstead since that first time, and enjoy taking our guests there for lunch or dinner. Ron enjoys a beer before his dinner. 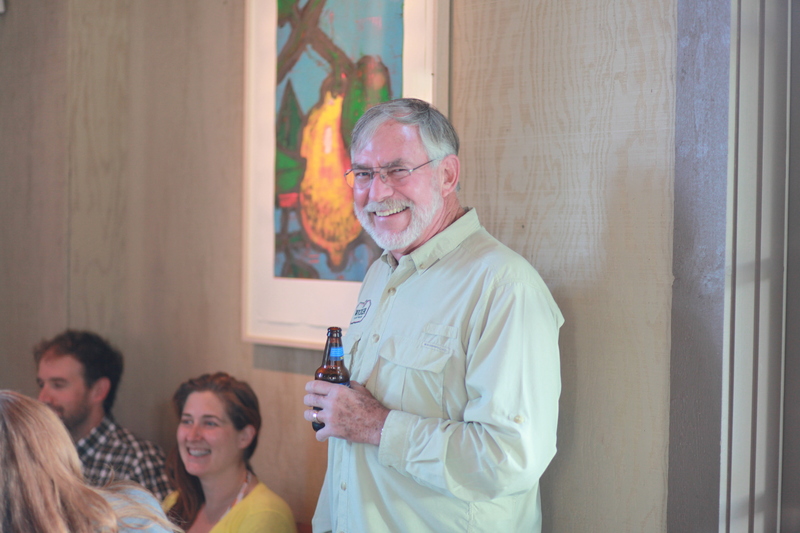 Fast forward to June 2012–Ron mentions that they will be hosting their first winemaker dinner at Farmstead in July. Knowing that Ron and Lisa have many friends in St. Helena, and that the capacity of the wine dinner is limited to 30, we made a quick reservation. And a good thing we did! When we arrived, we foulnd out that 62 people had made reservations, and the dinner was expanded to accommodate everyone! 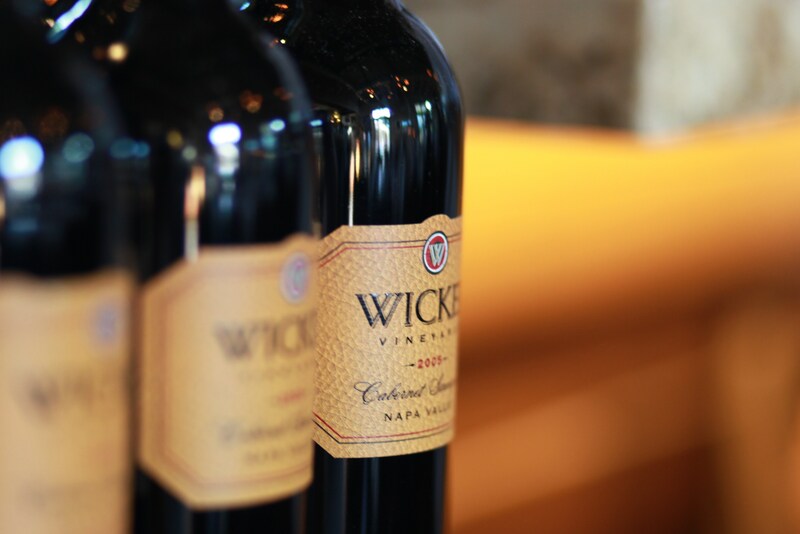 A record turnout for one of the best-kept secrets in Napa Valley winemaking. For many attendees, this was the first opportunity to try one of Ron’s two new wines, just released this year. 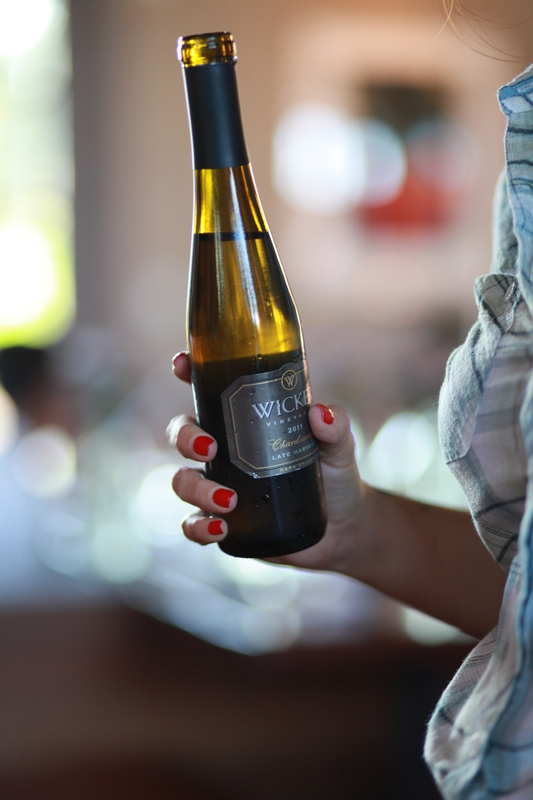 The first was a 2011 Late Harvest Chardonnay, made from Botrytis-ized grapes last fall. 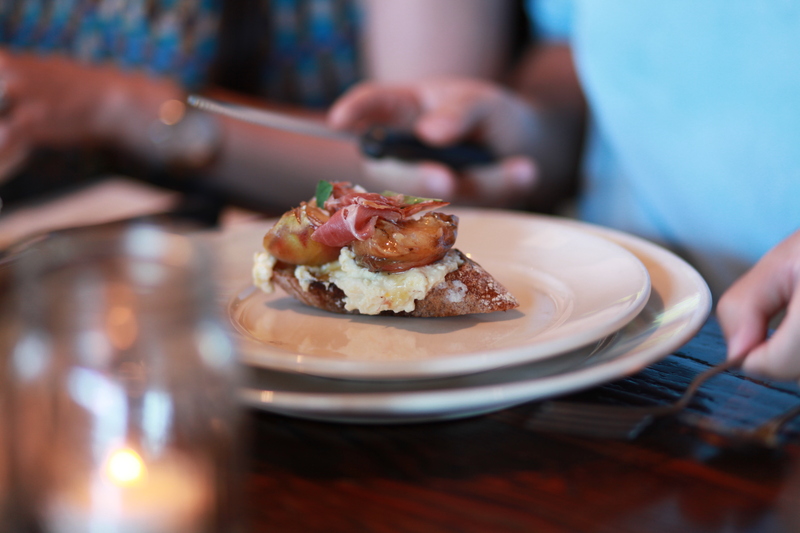 This was served with the first appetizer dish, an amazing grilled Rutherford peach with Bellwether Farms ricotta cheese and shaved speck (smoked ham). It was a fantastic dish, and paired perfectly with the sweet but not-too-syrupy wine. It was a great start to the evening . from the 2005 vintage. 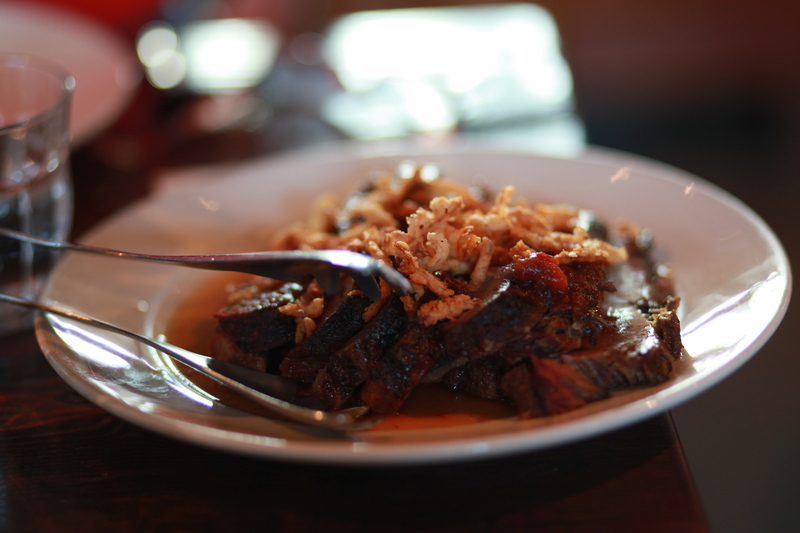 It went perfectly with a selection of smoked brisket, St. Louis style BBQ ribs, creamy grits and grilled summer squash. For dessert, for those of us who had any room left, the chef prepared an amazing cherry tart to complement the 2006 Wicker “975” Cabernet dessert wine, which has just been released. I strongly suggest you hop on Ron’s website and place an order for this little gem, as there is not much to go around. While I am raving about the wines, I should also rave about the restaurant. Steven Barber is the chef who joined the Farmstead within the last year, after having founded his BarbersQ restaurant in Napa. BarbersQ naturally featured barbequed and smoked meats, and Steven towed his smoker up Highway 29 to the Farmstead and has slowly changed the menu there to reflect his passion. The pairings of food and wine on this evening were superb. 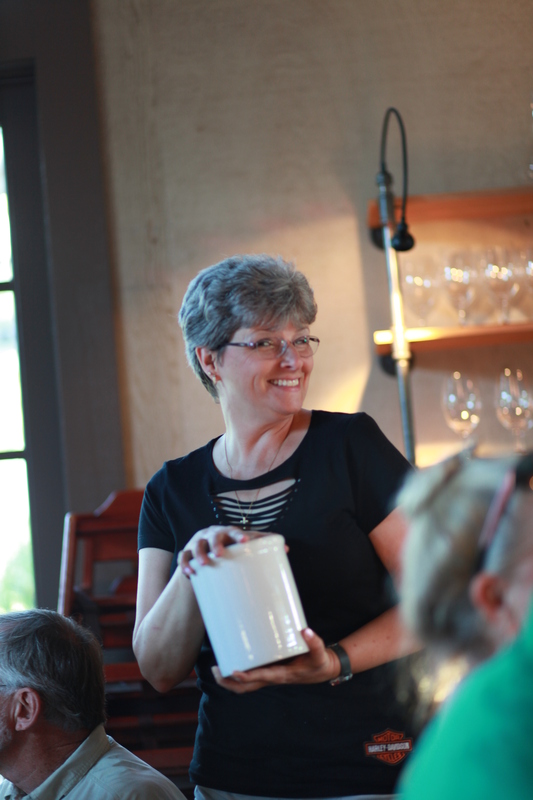 Farmstead has a great wine list, and features some renowned Long Meadow Ranch wines along with other local notables. The restaurant is known for sourcing almost all their ingredients either from their own ranch and farm, or from local purveyors. It really is not to be missed. The evening was a great success, and many new friends were made due to the family-style service and the continually-flowing wine. 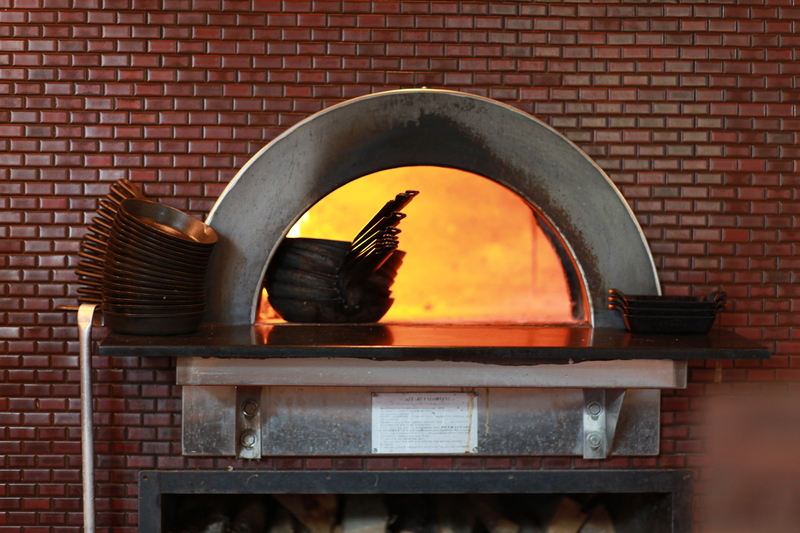 If you find yourself dining up in St. Helena one evening, stop by the Farmstead. Not only is the food great, but there’s a good chance you’ll run into Ron and Lisa Wicker while you are there. Enjoy! This entry was posted in Food, People, Wine. Bookmark the permalink. 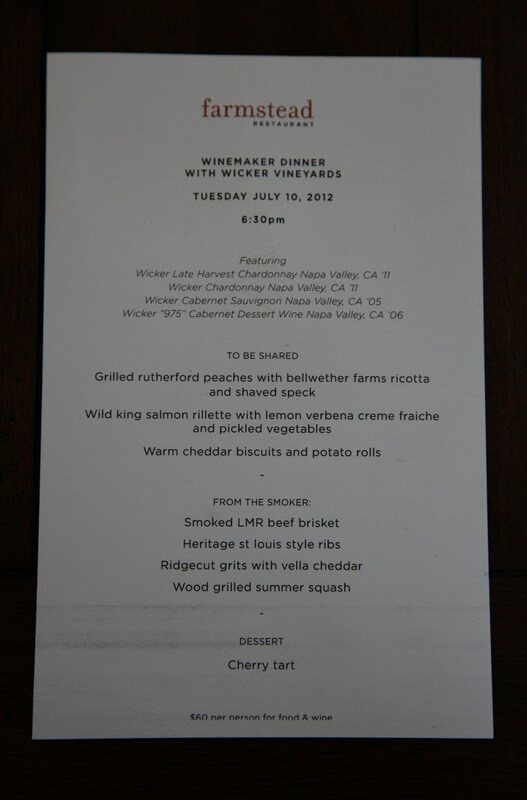 Thank you Kort for the nice blog on our Winemaker Dinner. It was a great event, made possible by everyone who attended, and the great folks at Farmstead, including all those that took the night off work to attend the dinner. It really does go to prove, once again, that in this world, it’s relationships that matter. Thank you all for the friendships and support we enjoy every day. I love the comment “For dessert, for those of us who had any room left..”; in all my years knowing you, dessert was never even a question! Great review and best wishes!